Joed Viera/Staff Photographer- Donofrio guides schoolchildren across Lincoln Avenue. 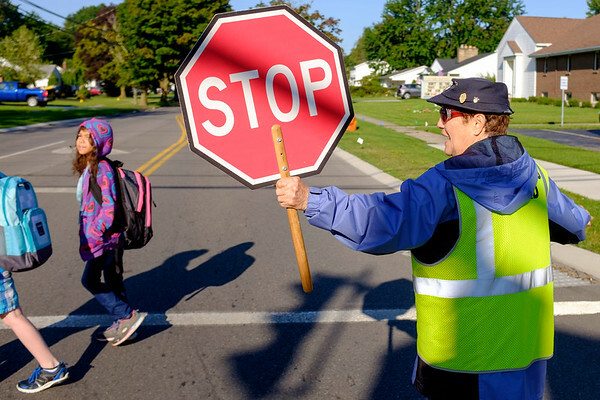 Donofrio has been a city crossing guard for 50 years. Tuesday, Donofrio was suprised with flowers by Mayor Anne McCaffrey in celebration of her years of dedicated service.